We are ProjectionHub, a software designed to help entrepreneurs generate customizable and easy-to-read financial projections that they can share with potential lenders or investors in order to allow the entrepreneur to raise capital to make his/her business a successful one. 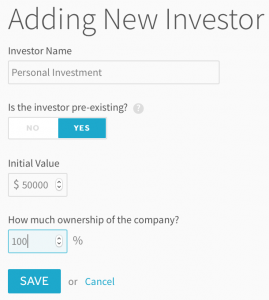 By utilizing our web application at ProjectionHub.Com, entrepreneurs are able to view three-to-five years of income statements, statements of cash flow, and balance sheets, otherwise known as Statements of Financial Position. The statement of financial position is another name for the balance sheet, which is a financial report showing the assets, liabilities, and the owner’s equity amounts at any one period of time throughout the life of the business. “It lists the resources, obligations, and ownership details of a company on a specific day”. 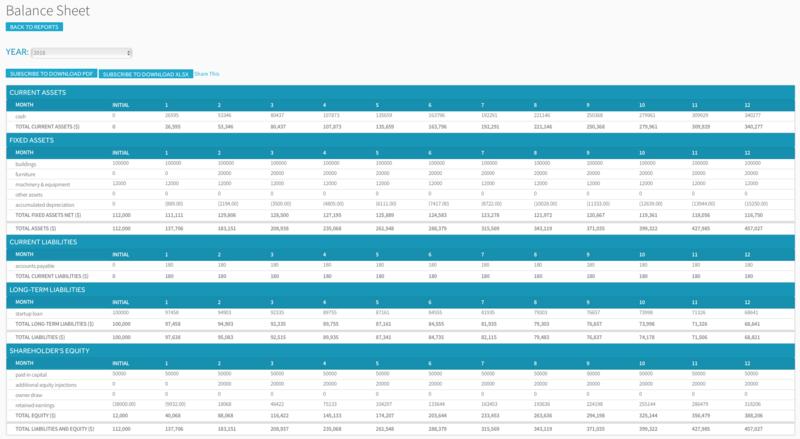 Here is an example of a balance sheet, or statement of financial position, that the ProjectionHub web application has generated. As you can see, it exhibits the amount totals for each month and each month the total asset amount is equal to the total liabilities and owner’s equity amount. This is your number one goal when creating this financial statement–ASSETS MUST EQUAL LIABILITIES PLUS EQUITY. The beauty of our software–it does it for you! All you have to do is follow these next few steps. How do I create a Statement of Financial Position? Once you have signed up at ProjectionHub.Com, selected a business model, and added in your revenue and expenses, you are ready to add your business’ assets–which, is the beginning of creating your statement of financial position. If you need assistance with adding the business model, revenue, and expenses, see this blog post. 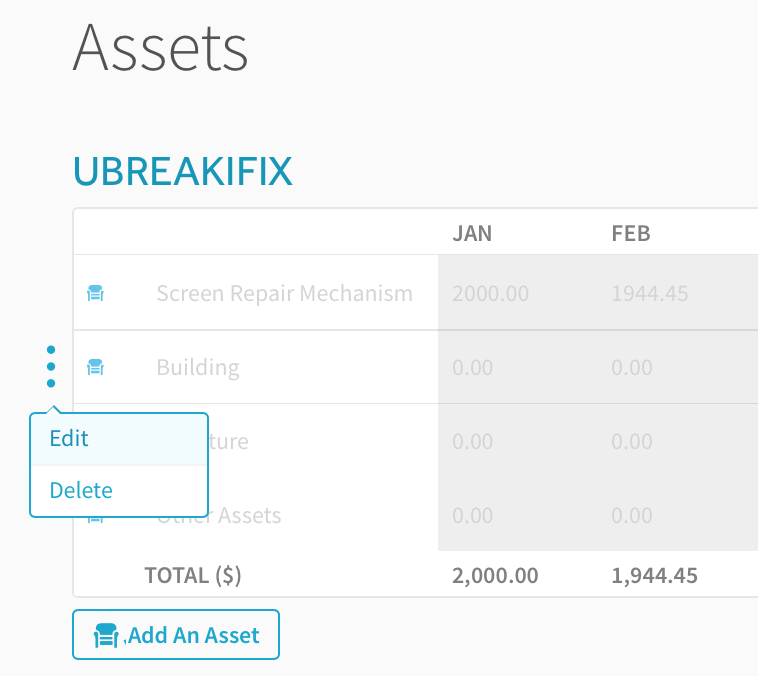 Click the “edit” button next to the asset category you wish to add an asset to. Here, you can add the details of your asset such as its initial value, useful life, and date purchased. Repeat these two steps for however many assets your business owns. Also, you can click the “Add An Asset” button at the bottom of your screen to add another asset category. Next, you are ready to incorporate your liabilities. Click the “Add Liability” button and pick “Loan”. 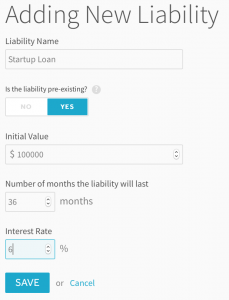 Then, enter the details of your loan such as the amount, the length of the loan, and the interest rate. Repeat this process for however many loans/liabilities you have acquired. 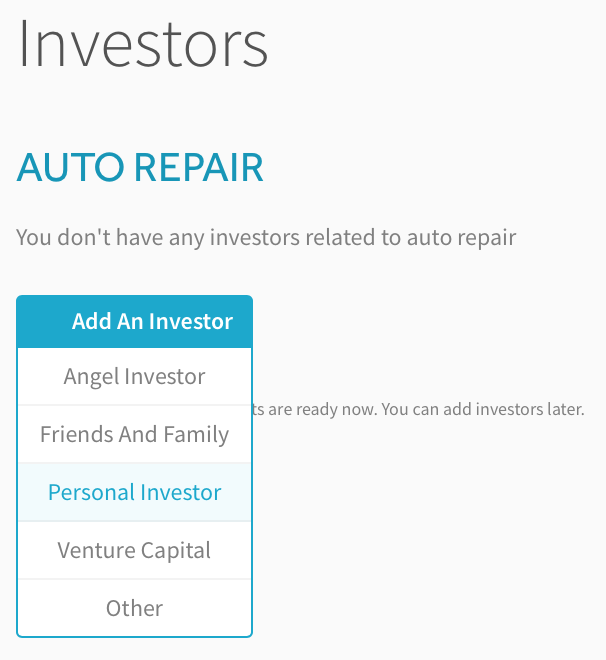 Then, you will input any investors into the software. Next, enter the investor details such as the amount invested and the percentage of ownership that person will receive in return for their investment. Again, repeat this process for however many investors you have for your business. 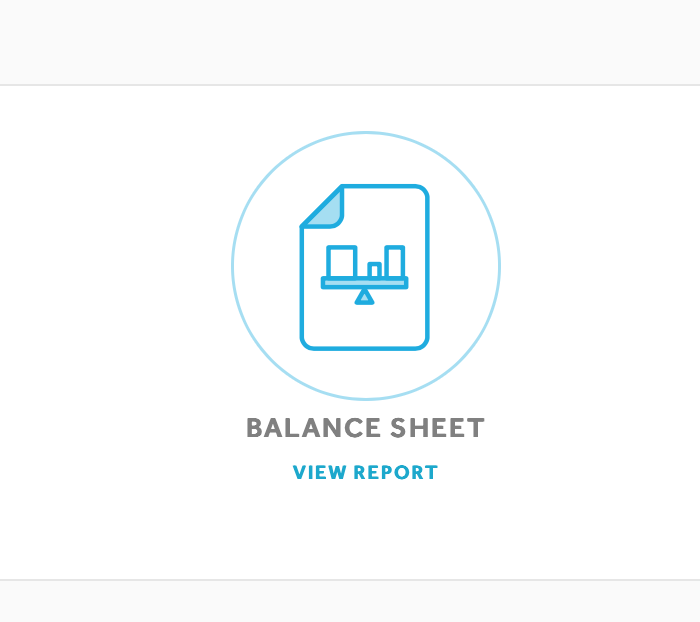 Finally, click on the “Dashboard” icon to the left of your screen to view the reports page where you will click on the Balance Sheet and view your statement of financial position. How do I read a Statement of Financial Position? The first two sections of your statement of financial position show the current assets and fixed assets. Your current assets are ones that can be converted to cash quickly, such as cash of course and accounts receivable. 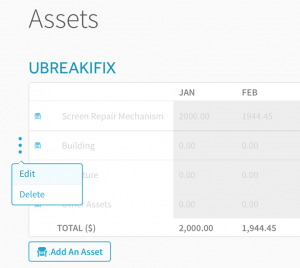 At the bottom of the second section, your current and fixed assets are totaled. 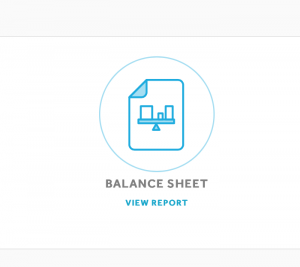 The next two lines of your report show current and long-term liabilities. Current liabilities are those that are not typically interest bearing and can be payed off rather quickly such as accounts payable. Long-term liabilities typically will have interest and cannot be paid off for at least one year. These two categories are totaled at the bottom of this section of the statement. Finally, you will see your Shareholder’s Equity section. 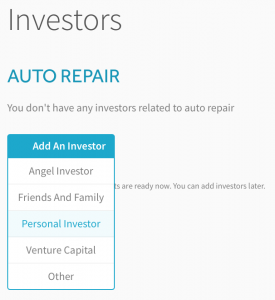 This section includes all of your investors, including your own investment as the business owner. The total liabilities and total equity will be summed to reach your Total Liabilities and Equity which must equal the Total Asset amount. ProjectionHub will monitor your cash balance based on your starting cash balance and your asset purchases and liability acquisitions. 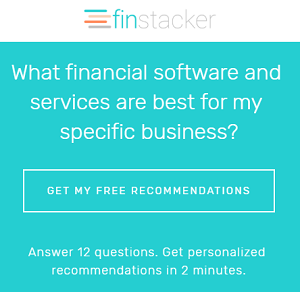 This will ensure that your statement of financial position ALWAYS balances! You can get started by creating a ProjectionHub free trial account today.